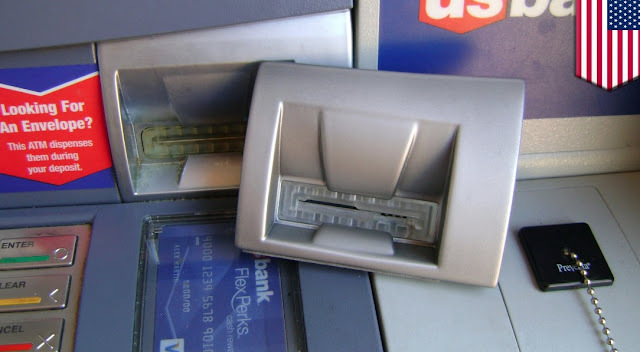 Cops recovered at least two skimming devices from ATMs in Boystown and nearby Lincoln Park this week. The latest discoveries of the information-sucking swipers are part of a growing wave of similar cases across the city, police said. The most recent skimmer report came from Walgreens at 3201 North Broadway in Boystown on Friday evening. Around 6:30 p.m, a customer identified the skimmer on a Citibank-affiliated machine near the store entrance, police said. On December 23, a First American Bank worker found a skimmer attached to an interior ATM at the 1345 West Diversey location around 9:30 a.m., according to a police report. A little further away, a skimmer was recovered from an ATM inside the CVS Pharmacy at 205 North Michigan around 11 p.m. on December 19. Criminals capture debit card data by affixing fake skimmers like this one over the top of ATM slots. In October, Chicago police announced that more than a dozen of the devices had been found recently in Lakeview, Lincoln Park, and downtown. A skimmer was found on an ATM at the Southport Corridor CVS Pharmacy, 3637 North Southport, on November 20. The rigging included a substitute swiper to capture card information and a camera to record victims’ fingers as they entered their PINs on the keypad. A card skimmer dangles after being pulled from an ATM's card slot. 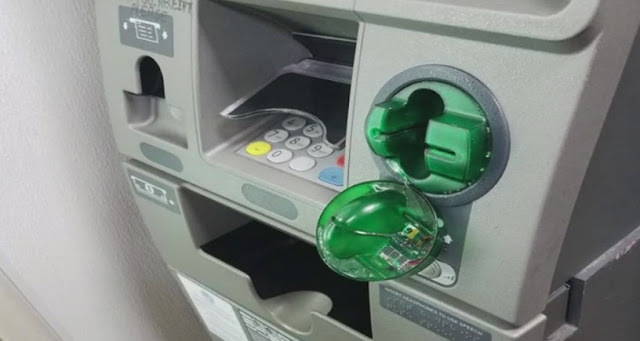 Police are encouraging ATM users to inspect the machines, looking for any irregularities or loose parts, before using them. The card reader slot and PIN pad should not wiggle or have extra pieces visible. Give everything a good pull. Real ATM parts are built to take a beating. Nothing should move or pop off. “If there is any type of irregularity or issue in placing the card into the card slot, do not use the ATM,” a police alert warned. 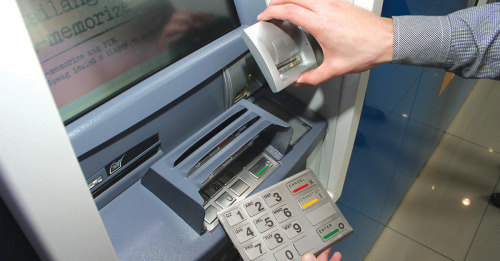 Some skimming set-ups utilize keypad lay-overs instead of cameras to capture PIN data. Investigators also suggested covering your hand when you enter your PIN so hidden cameras cannot pick up your secret code. Anyone with information about skimming incidents is asked to call the Chicago Police Financial Crimes Unit at (312) 746-9661.